Motivated seller! 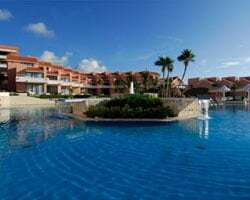 Perfect resort for couple's getaways! RTU until 2038! Pick your dates with an annual floating week! Bring offers! Inquire today! Enjoy beautiful beaches, ocean views and more! Floating, gold week! Buyer may receive a title fee credit, inquire for details! Luxurious oceanfront paradise! Yearly floating week with RTU until 2020! Make your offer today! Surround yourself with tropical beachfront luxury! RTU until 2058! Buyer may receive a title fee credit; inquire for details! Enjoy a week in the Prime season! Plenty of onsite amenities available! Buyer May Receive A Title Fee Credit, Inquire For Details! Breathtaking resort right on the beach! RTU until 2030! Buyer May Receive A Title Fee Credit, Inquire For Details! RTU until 2025! Price is negotiable. Master suite for sale. Price just reduced! 19 weeks left! RTU expires in 2027. Price very negotiable. Price Reduced! Floating week of your choice each year! 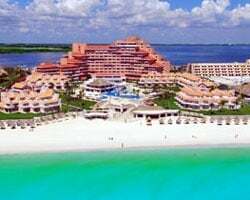 RTU until 2023.
spend any week during gold season in beautiful Cancun! Buyer May Receive A Title Fee Credit, Inquire For Details! Motivated seller, willing to negotiate! RTU until 2026! Buyer May Receive A Title Fee Credit, Inquire For Details! Spa package incorporated! Christmas and Easter week blacked out. Buyer May Receive A Title Fee Credit, Inquire For Details! Perfect resort for couple's getaways! RTU until 2026! Make an offer today! Buyer may receive a title fee credit, inquire for details! Come and explore Mexico and enjoy beautiful beaches, incredible ocean views & much more! Buyer May Receive A Title Fee Credit, Inquire For Details! Oceanfront suite! Motivated seller! Floating week! RTU expires in 2028. Annual floating, red season weeks! 13 weeks left on the contract! Buyer May Receive A Title Fee Credit, Inquire For Details! Sale includes 11 weeks! RTU until 2025! 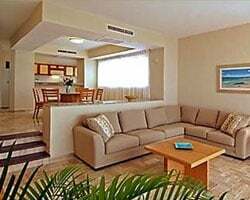 4 Coupons for accommodations for 7 to 8 nights stay in a studio! Buyer may receive a title fee credit! Enjoy beautiful beaches, ocean views and much more! RTU until 2031! Buyer may receive a title fee credit, inquire for details! Stunning oceanfront resort! Pick your vacation dates with a floating week! Highly motivated seller! Price Negotiable. Bring Offers. Floating week of your choice! RTU in perpetuity! Open to all offers! Inquire for details! Enjoy staying at this tropical paradise! Luxurious beachfront accommodations! Choose to stay in any floating week! Inquire today! 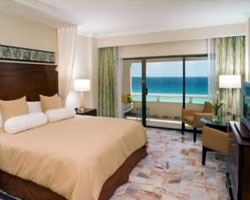 Enjoy beautiful and luxurious beachfront accommodations! Floating week! Buyer may receive a title fee credit, inquire for details! RTU until 2037 with 20 prime weeks remaining! Make an offer today! Buyer may receive a title fee credit, inquire for details! RTU until 2027! Buyer May Receive A Title Fee Credit, Inquire For Details!!! Motivated seller will consider all reasonable offers! RTU until 2041! Buyer may receive a title fee credit, inquire for details!